It’s Digit-al Dozen Week and June’s theme is books! This was tough (I say that every month). I used all of my cool “book” tricks during geek week (e.g., Harry Potter). 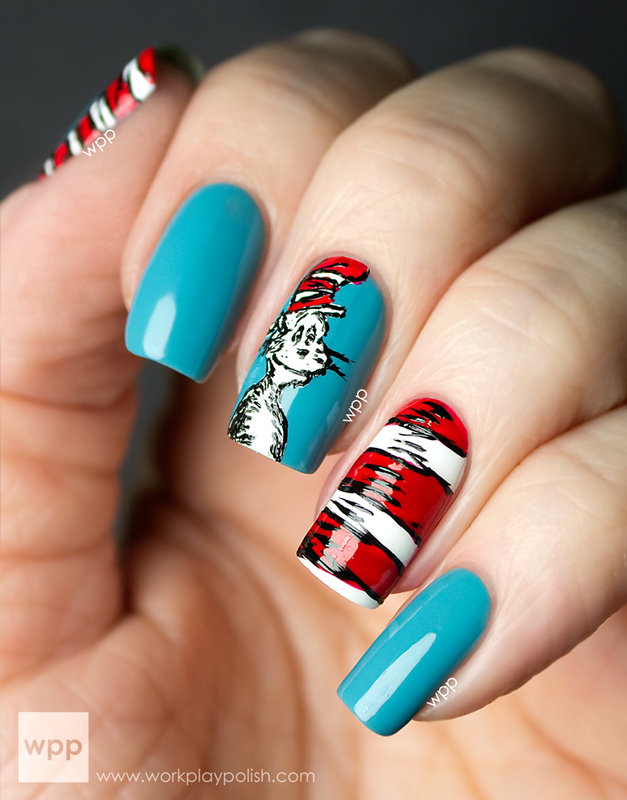 I like to read, but my books of choice these days are business and leadership books and those don’t make pretty nail art! So I digressed. This week I’ll focus on favorite books from my childhood. 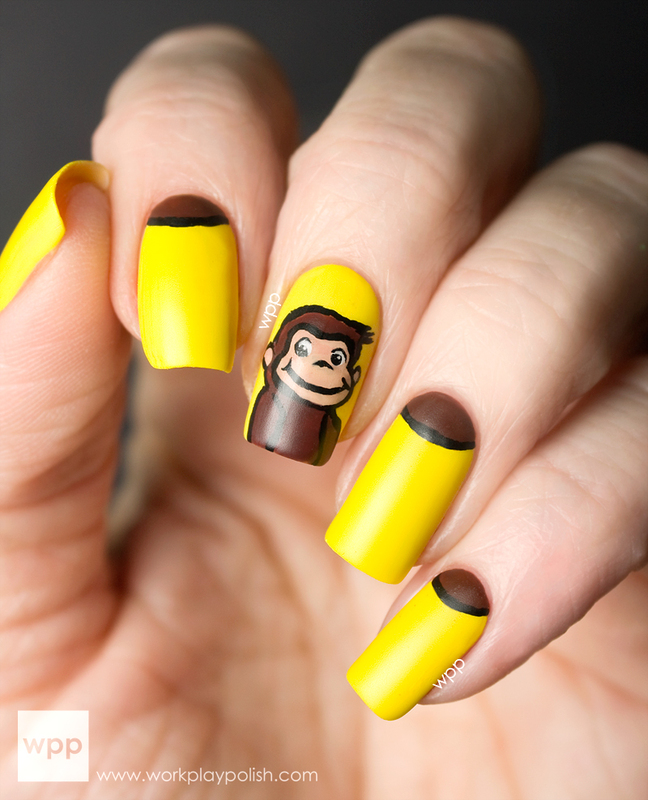 My first mani is Curious George! Do kids even read this series anymore? I even remember my favorite “Curious George Goes to the Hospital“. I don’t know why I had it. There was a reason. Maybe I was getting tubes put in my ears? Seeing this book cover brought back all sorts of memories. I wish I still had my copy. This mani was fairly simple, although I did spend way more time on George than it appears! I first tried a full body George. Um…FAIL. It was too small to work in the details so it looked like a big turd. I redid it showing George from the bust up. The base is two coats of China Glaze Happy Go Lucky. I didn’t have exactly the right browns so I did some mixing. The dark brown is China Glaze Call of the Wild with a touch of Desert Sun (both from the Fall 2012 On Safari Collection). I used a dotting tool to lay down George’s entire silhouette. The lighter brown is mostly Desert Sun lightened with a bit of China GlazeMoonlight. I used a smaller dotting tool to dab in the face and ears. For the other nails, I freehanded the half-moons with the darker mixture. 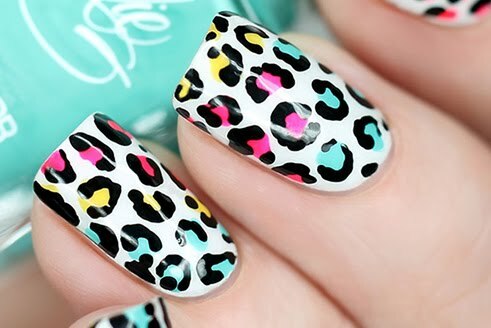 These nails make me think of bananas! The hardest part was outlining everything. I used black acrylic paint with a nail art brush cut down to just a few hairs thick. I still have trouble with very fine lines. Any advice? Everything appeared much more sharp and detailed before I added topcoat. I’ve been finishing a lot of nail art with matte topcoat lately. It’s hard to make out small features with too much shine going on.